Language is learned through exposure. Children pick up words that they hear (or signs that they see) in their environment as adults are communicating with one another. Approximately 80% of new words are learned by overhearing. 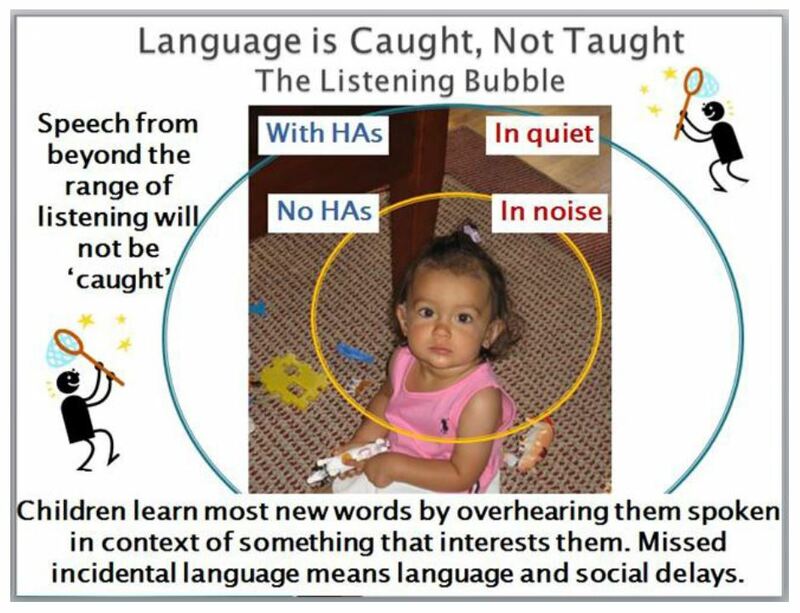 For a child with hearing loss, there is a smaller listening bubble meaning that they have to be closer (or much, much closer) to the talker before they will be able to detect and/or comfortably hear what is being said. To develop spoken language, a child must be able to hear speech clearly and also hear themselves (auditory feedback loop). Children with very limited hearing or those who are hard of hearing but do not (consistently) wear amplification will not be able to develop language and speech at the same rate as age peers. 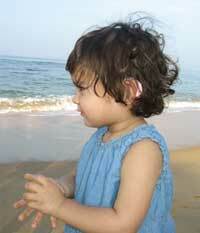 Why is it critical to check hearing for all children with speech/language delays? An infant begins to communicate with his/her environment from the first months of life. However, true words do not appear until the age of 12-15 months, following a rather predictable sequence. Delay or failure of normal language development is not a rare situation in childhood and may be due to a variety of reasons. Among these, hearing undoubtedly plays a leading part in the language acquisition process. In a 2001 study, 654 apparently healthy speech-language delayed children underwent a thorough audiological assessment for determination of their hearing thresholds. 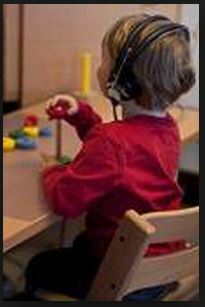 Eighty-seven children (13.3%) showed various degrees of hearing loss. Most of them (55 children, 8.4%) suffered from sensorineural hearing impairment, while in 32 children (4.9%) a conductive hearing loss was discovered. The increased prevalence of hearing impairment found in this population mandates a thorough hearing evaluation for every case of speech-language delay, even for those children who show no evidence of other handicaps. This will help in the early diagnosis of hearing loss, allowing proper management to be instituted as early as possible. Psarommatis, IM, Goritsa, E., Douniadakis, D., Tsakanikos, M., Kontrogianni, AD., Apostolopoulous, N., (2001) Hearing Loss in speech-language delayed children. Int. J. Pediatr. Otorhinolaryngol, May 11; 58(3): 205-10. Abstract. Sound Foundation for Babies and Toddlers Cochlear Corporation has a suite of resources to assist with listening and language development from birth to 6 years of age. Free download! 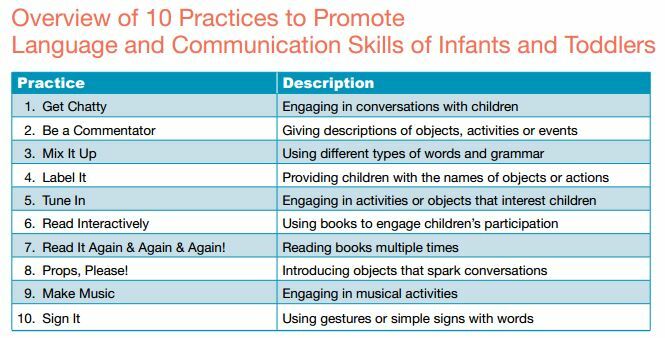 The Sound Foundation resources, by Nancy Caleffe-Schenck, offer week by week activities that can be shared with families as a recommended website, or to augment activities discussed during early intervention. Each week includes a video tutorial and attention specific to audition, receptive/expressive language, speech, songs, rhymes, etc.